Weed Control Programs Marietta GA | Call (770) 794-7444 Mapleleaf Turf Management Programs for expert lawn weed and broadleaf weed control. Lawn weed control, lawn aeration, lawn overseeding, Lawn Care & Lawn Maintenance in Marietta GA | Turf Care, Lawn maintenance, Tree and Shrub Care, Fertilizing, Turf Control, Grub Control, Irrigation. Is your lawn overrun with weeds and crabgrass? Let the lawn care specialists at Maple Leaf Lawn Care and Pest Control introduce you to our powerful and effective weed control applications. For more than a decade we have been fighting the good fight against weeds and producing flawless lawns. Let our lawn care pros rise to the challenge and transform your landscape. Our lawn service specialists have more than 20 years of experience in the lawn care industry, and our lawn service programs are specifically designed for the Atlanta region. It is own goal to really know our customers and create a relationship built on trust and communication. 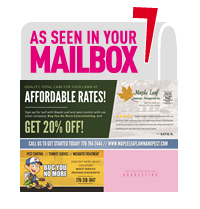 Let Maple Leaf Lawn Care and Pest Control show you what true lawn service is all about. – A pre-emergent application designed to prevent new weeds from growing is coupled with a post-emergent treatment that eradicates those already existing. – We strictly use fertilizers that are custom-blended for Georgia lawns and the Georgia climate. – A once-yearly application of limestone will be provided to lower soil acidity and help your lawn use the fertilizer more efficiently. – Subscribers to our Turf Management Programs can purchase insect control services that help fight off fire ants, mosquitoes, termites and other pesky insects that can damage grass or be a nuisance to people and pets. 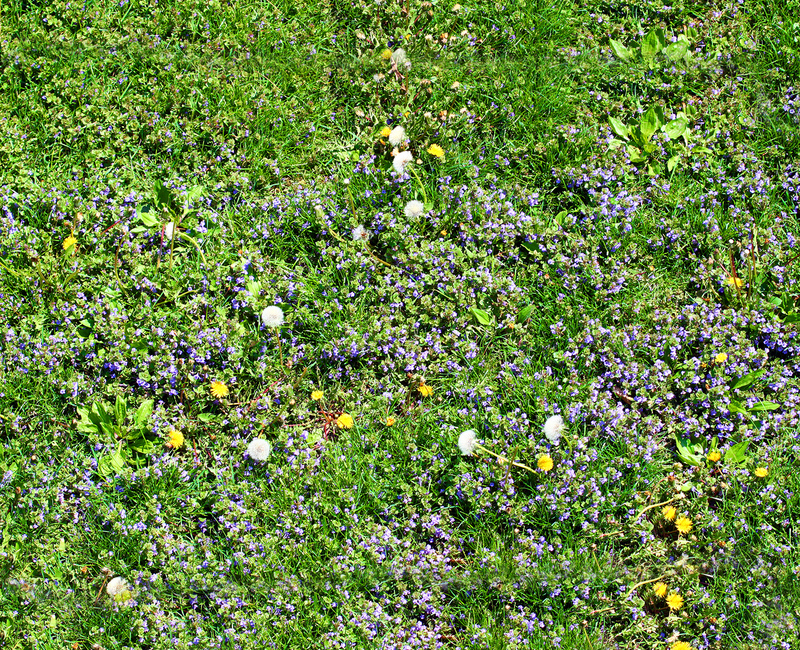 What type of Grass and Weeds are in your Lawn? 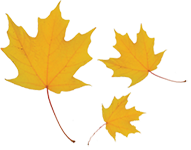 Mapleleaf Lawn Care specialists will inspect your lawn and consider the best treatment for the types of grass you have. In addition, if new grass is required, we will help you select a type of specific grass best fitted to your lawn. Is your lawn partially shaded or in full sun…it make a big difference. Lawns can be made up of a mixture of grass species to take advantage of the different characteristics of different grasses. 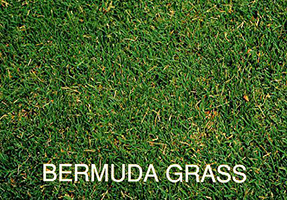 Bermuda Grass is the most common Grass in the Atlanta area. It’s also used on golf courses, sports fields, and high-trafficked areas due to its tolerance to foot traffic, drought, and cold. That being said, it suffers when grown in a shaded area, so if you do choose to go with Bermuda, you’ll want to make sure that you lay another type of grass in shaded areas of your lawn. Centipedegrass is best used in the southern part of Atlanta. It’s an extremely low-maintenance grass type that grows best in warm climates, included drought-stricken areas. 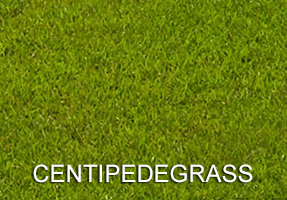 When it’s healthy, Centipedegrass is great at fighting off weeds and other grass types. 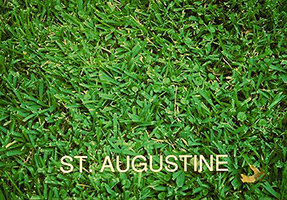 St. Augustine is another popular grass type for the Southeastern United States. It’s a wide-blade grass that works best in high-temperature, sunny areas, especially along coastal landscapes. When it comes to cold weather, St. Augustine isn’t the most tolerant, but it will survive the mild Atlanta winters. Most people will lay down sod or use plugs when adding St. Augustine to their lawns. 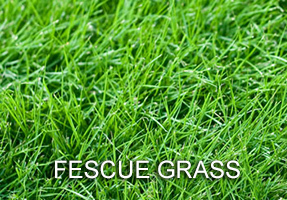 Fescue is a cool season grass that requires more water in the summer than warm season grasses. You’ll find a need to mow Fescue more frequently in the fall and spring, as those seasons provides optimal growing conditions. That being said, Fescue is a great grass to have in a yard that has both shade and sun as it thrives in either with the right care. 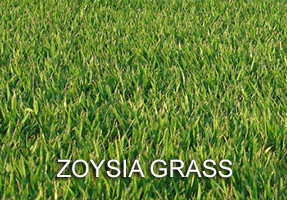 Zoysia is a warm season grass that is fairly tolerant of cold temperatures, which is great for yards residing in transition zones. The grass is drought resistant, although it will need more watering during the hotter months compared to other warm grass types. Zoysia thrives in direct sunlight, but can also grow well in partial shade. You’ll find that Zoysia typically has a fine texture, much less than that of St. Augustine.